・Includes the enterprise package of Hinemos Manager (Windows(*1) or Red Hat Enterprise Linux Version 6(*2) edition of Hinemos Manager). ・JobMap feature : The JobMap feature enables enhanced "visualization" of jobs by illustrating the relationships and transitions between jobs. 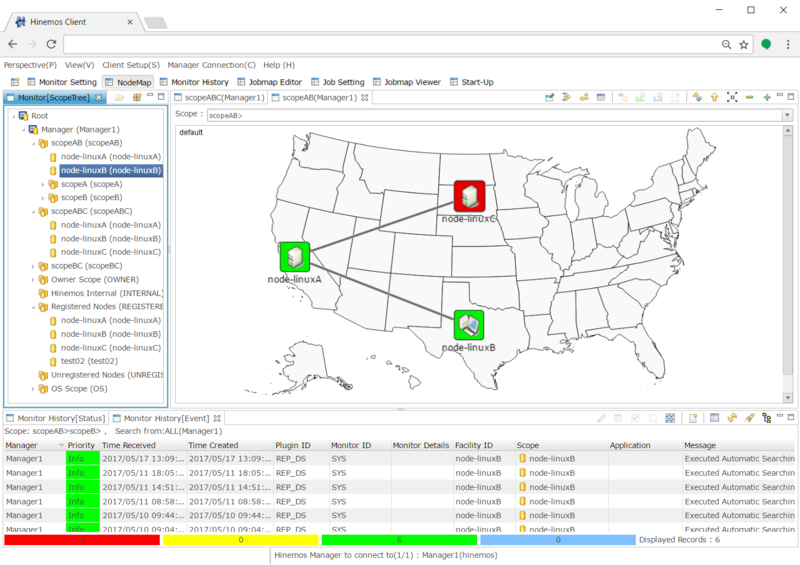 ・NodeMap feature : The NodeMap feature enables enhanced "visualization" of incidents by illustrating target server/devices over a two-dimensional map. ・Reporting feature : The Reporting feature enables enhanced "visualization" of information regarding system performance, monitoring, and jobs by generating reports on such information. 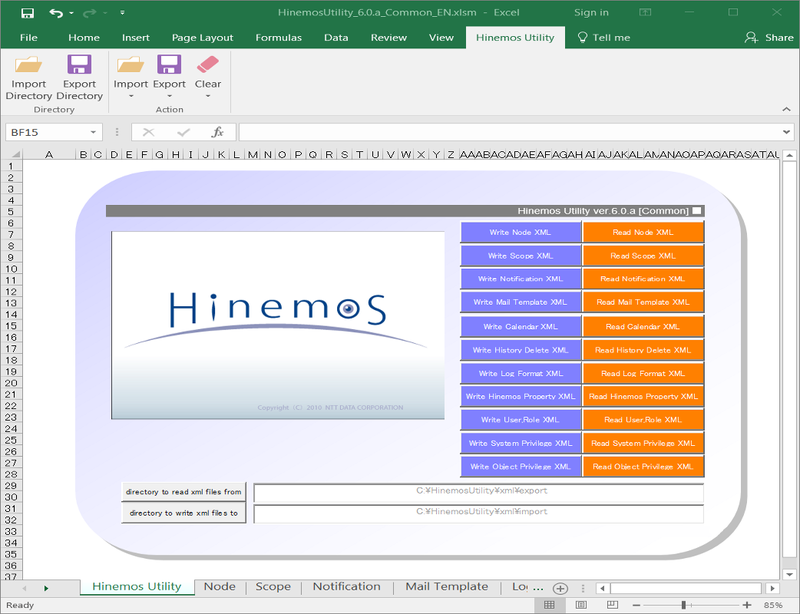 ・Excel import and export feature: The Excel import and export feature enables users to manage the configuration data of Hinemos in the form of Excel files. By importing/exporting the Excel files, documentation and migration of data between generations will become easier. ・Includes enterprise packages of Hinemos Agent (Solaris, HP-UX, AIX). ・Command Line Tool : The Command Line Tool enables users to perform operations on Hinemos Client using the CUI (character user interface) instead. ■Maintenance Support: Provides answers to inquiries and performs fault analysis. ・Provides tools for upgrading to a version with higher functionality. By using the Version Upgrade Tools, you will easily be able to upgrade Hinemos to the latest version. ・All patches will be provided to make the latest software available. The national holidays are listed on the site below. ・Mission Critical Feature is an optional product that operates as the core of various features that Hinemos provides. It improves reliability and fault tolerance by clustering Hinemos Manager on two physically different servers, and is for using Hinemos in mission-critical areas requiring high availability of operation management. It can switch the active server to another server automatically and continue operation management in case of a fault of such components as hardware, OS, network, database, or processes necessary for Hinemos Manager Server to operate. Mission Critical Feature is available for servers running on the following platforms. ・VM Management Feature：Provides features to manage and utilize systems using VMware vSphere/vCenter/ESXi. Enables management of automatic tracking of configuration changes, collecting and monitoring environment-specific resources, and start/stop/migration operations with Hinemos. ・Hinemos Cloud Management Feature provides Hinemos the ability to manage, install, and utilize systems using Amazon Web Services. It also provides features to seamlessly manage an AWS environment with a service/component of AWS such as EC2, EBS, VPC, EBS, and CloudWatch. ・By clicking the “Buy now” button, you will jump to the product page operated by Shopify. ・After completing your payment process, we will send you an e-mail with detailed information about your Subscription. ・This product is available as a download only. 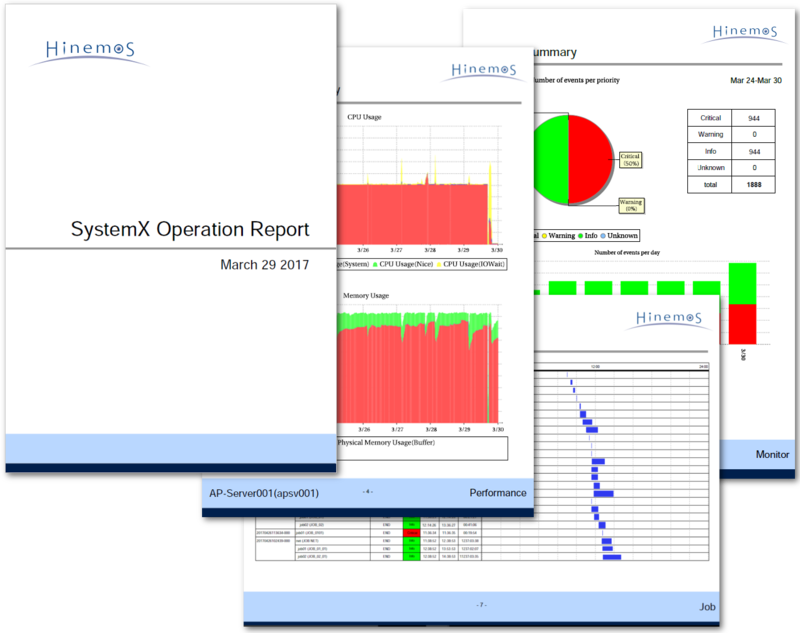 ・The Subscription is available for a single unit of Hinemos Manager(*1). When using the Subscription for more than 2 Hinemos managers, you are required to buy the same number of Subscription. ・Hinemos is available for download on GitHub. 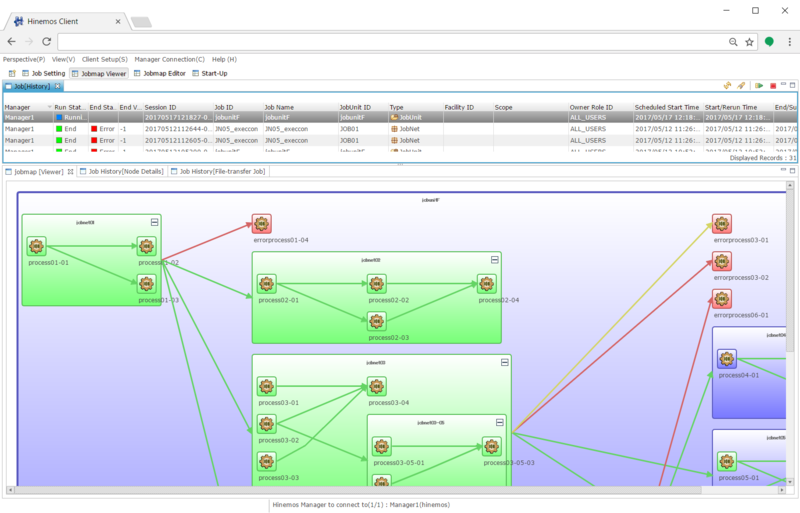 *1 The 2 Hinemos Managers comprising a redundant server are regarded as a single unit. Hinemos Store is the official shop for Hinemos Subscription, run and operated by US Atomitech Inc. Copyright (c) US Atomitech Inc. All rights reserved. All company names and product names appearing on this site are trademarks or registered trademarks of their respective companies. Limitation：From this "Hinemos Store", Hinemos Subscription is purchasable for customer in the U.S. only.